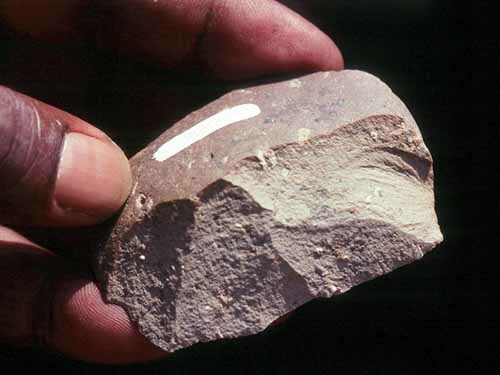 Located in the Afar triangle of the African Rift Valley, Gona has yielded the world’s oldest archaeological sites, with very early stone tools dated to between 2.5 and 2.6 million years ago. The archaeological record in the Gona area contains sites spanning a large range of Stone Age prehistory, from different periods of the Oldowan, through early and later Acheulean times, and up to the Middle Stone Age. 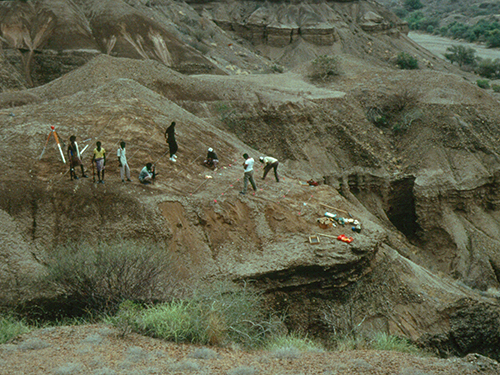 In addition, the Gona study area has produced a number of early hominid fossils from a range of time periods, including Ardipithecus from about 4.5 million years ago, early Homo at about 1.7 million years ago, and Homo erectus at about 1 million years ago. 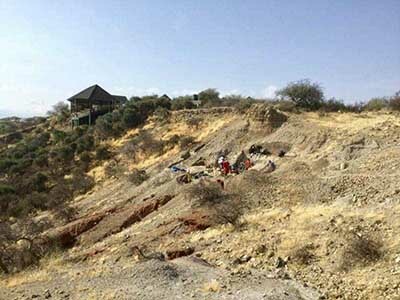 The Gona Palaeoanthropological Research Project is directed by Stone Age Institute researcher, Dr. Sileshi Semaw. He has incorporated a number of other research scientists from the Stone Age Institute and other institutions, including archaeologists, physical anthropologists, geologists, and paleontologists. The ongoing research here is documenting the biological evolution of early humans and the emergence and development of stone tool-making and culture in the ancient human past, topics of critical importance to human origins research. 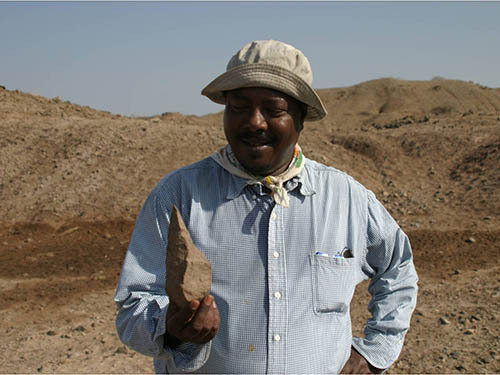 Left: Researcher Sileshi Semaw holds an Acheulean Handaxe from Gona. Right: A flake from Gona.